Highly productive L.I.E.S. affiliate Gunnar Haslam discusses how he manages to maintain a high volume of releases with the globetrotting Siberian DJ Nina Kraviz. 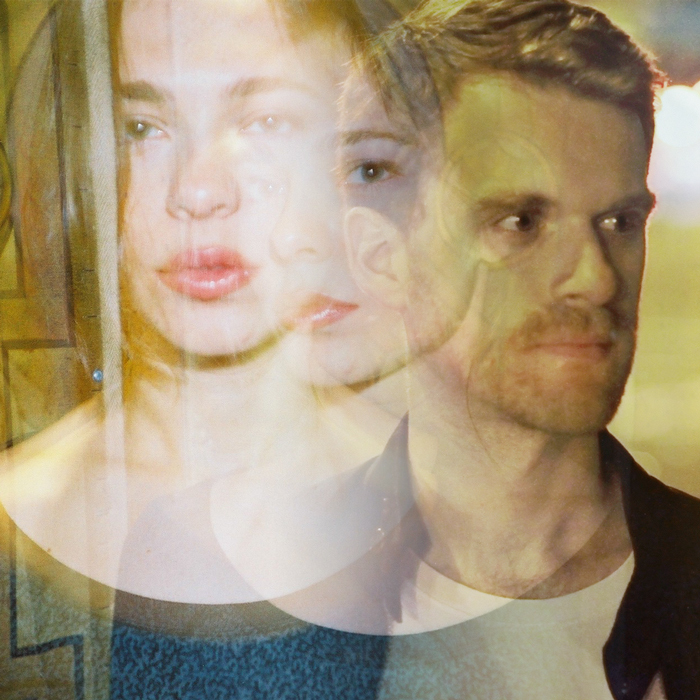 At first, Nina Kraviz and Gunnar Haslam seem like an strange match—which is exactly the reason EB brought them together. We wanted to talk about the two producers’ creative processes, given their very different rates of output. Kraviz has supplemented one full-length album and a handful of EPs for Underground Quality and Rekids with annual doses of remixes, edits, and split singles, and more recently with a forthcoming !K7 DJ-Kicks mix and new трип label venture. Haslam, on the other hand, has delivered a staggering amount of music under the alias since 2013, including five EPs and two albums, both of which arrived via L.I.E.S., the lo-fi label known for churning out records at a rate that’s become almost impossible to keep up with. Despite their obvious differences, however, it turned out that the two artists share a similar approach and production ethos. In fact, they had so much in common that when we hung up the three-way Skype call, we’re pretty sure Kraviz and Haslam could’ve kept talking. Nina Kraviz: I’m really happy to meet you because you’re one of my labelmates on Naïf Records. That’s the main reason why I agreed to do this conversation. The second reason was that what you do is really close to what I like, and it’s definitely my texture. I really appreciate your approach to music. My approach has always been based on the feel that I got from hardware and the way I can translate my emotional side into something I produce, rather than focusing on the technical side too much. For me, it’s important that the setup and the equipment that I’m using is quite quick, so I can see the result right away. That’s why I really like hardware. I also like to record things from the beginning, because I put in the most effort when I start a project. I press record when I feel something or have something to say, and I don’t spend too much time polishing my music—I like the mistakes. Gunnar Haslam: I work in a very similar fashion. I don’t like sitting there and pouring over things. Working on a track is mostly just tweaking things, adding things or taking them out, and then recording the whole process. When it’s done, I cut it off and maybe send it to someone. I’m also similar to you in that I use whatever is going to help me do what I want in the least amount of time. Sometimes, that means using Ableton just to get sketches down, and at other times it means that I’ll write things in Max/MSP or in other programming languages to do things that Ableton won’t do as quickly. But for the most part, when I sit down and make music, I just grab whatever is on hand, and a lot of the time that means using drum machines, modular synthesizers, or traditional synthesizers. NK: I believe that old synthesizers have their own vibe and energy, and when you interact with them, you’re not dealing with just some metal box with wires. It works the same way as when I meet someone new; if we get along, there’s always something I can get from machines—even if it’s the shittiest, strangest-sounding object. I really like how the synthesizers look, their actual presence, and how they smell sometimes. I’m always thinking about what kind of people worked with them before me, and when I turn it off and hear the sound that it produces, it’s almost like it comes from outer space. Sometimes I feel it doesn’t really belong to the synthesizer itself, and that it’s channeling something. GH: I spend most of my time studying mathematics and physics, so I can’t help but look at most of my synthesizers as very rational creatures. It sounds like you’re probably buying a lot of older, used things, whereas most of the stuff I buy is rather new, and there’s not a whole lot of strange history with them. I like buying things that I don’t understand, and synthesizers that force me to work with them on their own terms, rather than sculpting it into what I want. Usually the most interesting things I make in a day are things that come out wrong or weird or strange. GH: I’ve never worked with anyone. I have pretty close relationships with everyone whose labels I release on, so I’m pretty quick to just send them things. I don’t really feel the need to send them anything that “works” or is super polished—they’re just finished. I don’t think I’ve ever done a mixdown in my life; I don’t even really know what it entails. As I’m making something, things slide into place. I see it all as one process. At some point I give it to a mastering engineer, and he or she will make sure it’s cut correctly for vinyl, but that’s about it. I don’t really have plans to work with anyone else, aside from collaborating in an artistic process. Generally, I want my music to be mine. I suppose that’s a bit of a control thing. NK: Earlier, you told me that you’re studying? GH: I’m in graduate school. GH: No, I mostly do research. NK: Interesting. For nine years, I woke up at 7:00 in the morning, and by 8:00 I was already at work. I’ve found that it’s not necessarily better to be completely free and have no agenda when I’m making music. Limitation can really enhance creativity. GH: I agree. I wake up pretty early, and most days I’m doing a lot of research and reading. I find that if I have a weekend where I don’t have very much to do, I don’t get anything done. But on days where my head’s in papers and a book for 12 hours, I’m usually the most productive with music at the end of that day. I think you were saying pretty much the same thing—if I have too much free time, I don’t really make music. NK: I was so productive when I started producing in 2007 or 2008. I couldn’t stop, I was totally hooked. I was married, and I think that’s when our marriage started to… I would just stay in that room, smoking cigarettes, drinking tea, and be completely in the zone. That’s a beginner’s mood, when you don’t know anything and it’s the most exciting thing. But I made the most amazing hooks when I was physically struggling to control something, like when I felt really raw because I had a sleepless night. It opens me up in a really weird way. Sometimes I think, “I can’t play any more. This is inhuman, it’s unsustainable. I can’t hear any more, my ears are ringing.” But when I play, and as soon as I catch the vibe, I get extremely energetic. GH: Yeah. A lot of my inspiration comes from trying to approximate something I have on my mind—not necessarily a sound, but an environment, like this snowstorm that we’re having today, or a passage in a book I was reading, or I get inspired by something that I read in a mathematics paper and try to apply that to my music. It can be very tethered and technical inspiration, or it can be very ephemeral. And like I said, a lot of my day work is not strictly tied to music. When you started making music, you were mostly like me, in that working on music was a break from the rest of the work you had to do in a day. But now, you’re more directly involved with music, whether it’s playing or running a new label. Some people say that making music feels like more of a chore if you’re out playing all the time, and the last thing they want to do is go make music. Some people are the exact opposite, and playing all the time really inspires them. What’s your experience with that? NK: It’s totally unpredictable. My struggle at the moment is not finding time, because I think we can always find time. I would like to totally recreate my whole approach from a technical side, to learn something new and maybe work without a computer. I was in Japan recently for a festival called Modular Wars, and there were a lot of shows with modular synthesizers. Maybe that’s what I want to do—to find a modular that works with my sound. I’m not particularly excited about approaching the same thing over and over again. You can purchase Nina Kraviz’ DJ-Kicks here.